Home Articles How to use Keywords in your Blog articles? 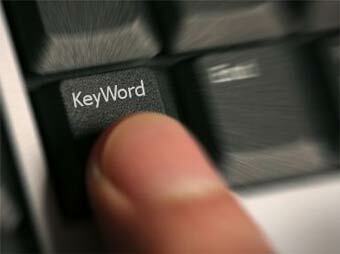 How to use Keywords in your Blog articles? As we already know, using keywords in the meta tags to optimize your blog is a great idea. Another great idea is to use those keywords in each new article you post. I mean, the keywords you are targeting on your blog. So, if your blog is about “digital cameras” and you are already including those keywords in your blog title and meta tags, I will recommend including those words a few times in each article. Don’t target too many keywords or the same word many times. With a couple of times in each new post is more than fine. Write your articles naturally, but with the right keywords in mind. Blogs, Content, Google, Keywords, Optimization, Plugins, Seo, Tags, WordPress. Bookmark. I usually only target between two to three keywords in my site title. This is because I want my title to read well for humans first and then for SEO. I used to optimize for several keywords, but found that it is more effective to just target two to three keywords per page and to target your pages using different keyword and phrases. I start with a keyword density of around 1.0% and then tweak it, if needed. Also, I strip the permalink of stop words that help to get better rankings. However, I didn’t do this when I first started SJ. I currently use the all in one SEO plugin that works very well for me. I get pretty good search engine rankings for my targeted keywords for the amount of work and effort I put into it at the Spunky Jones SEO techniques blog. I made my first post on March 01, 2009 and publish almost one blog post per day. It is working for me because each month I am gaining quite a few unique visitors. In fact, this month it works like I will hit over 1,000 more unique visitor than last month. It will be interesting this next PageRank update to see if my site increases from PR2. I know that many people believe that PageRank isn’t that important anymore. However, every time my PageRank increase, the traffic increases as well. It appears that higher PR will get you higher rankings in the search engines and that means more targeted visitors. If I were selling any type of products and services, then I would also notice an increase of interest and sales.